Ist das der neue Trojaner sheur? Ich glaube kaum, trotzdem gefällt mir dieses trojanische Pferd. 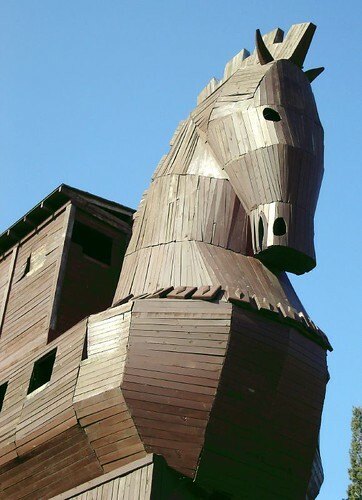 Does any body know anything about this trojan horse? No related posts were found, so here's a consolation prize: Re: Adding tagline but making invisible? :: Reply by Joern.